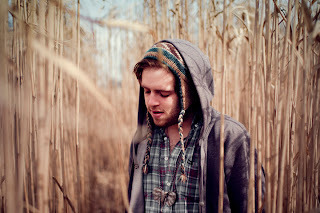 Benjamin Francis Leftwich has been putting out singles at an almost alarming rate lately. Not that he's putting out duds. Far from it. 'Box Of Stones' was our single of the month for June, while the recently re-released 'Atlas Hands' already won our hearts at the start of the year. 'Shine' is another gloriously heartfelt acoustic offering. I'm pretty sure that 'Shine' is basically the musical equivalent of being given a hug by your most cuddly friend. The soft, warm production intersperses handclaps and soothing female vocals around Benjamin's wonderful melodies. It's so gentle and luvverly. I really should listen to his album, 'Last Smoke Before The Snowstorm'. So should you. Maybe we can have a hug afterward. 'Shine' is released on 7th November. Find more on Benjamin at his official website.